Why are so few automotive dealerships building a functional SEO campaign? If you own or work at a car dealership and have started to investigate building a SEO strategy for your dealership, you are probably ahead of the game. Despite the fact that there were more than eighty million cars sold last year and that the vast majority of those purchases start with an online search, only a tiny fraction of car dealerships actually have search engine optimization campaigns, and of those that do, only a part of those actually have operational, functional campaigns. Automotive SEO is one of the smallest and slowest growing niches in the entire search engine optimization industry. How has car buying changed over the last decade? As a teenager, when I went with my parents to buy the second family car—the one expressly purchased so that my older brother could drive us to and from our high school (we lived in a small town without its own high school and without public transportation), we visited six dealerships before we decided which car to purchase. In the closest major city, we went to at least one dealership for each of the major brands. It was a long day, but that’s how things were done back then. When I bought my most recent car, I went to three dealerships. Most of my car buying time was spent online, looking at brand webpage and looking at the dealerships’ webpages, to see if they even had the kind of car that I had already decided I wanted to look at and would potentially buy. I knew I didn’t need to visit the Dodge dealership, for example, because I had already looked at their website and knew that the dealership in my area didn’t have a vehicle in my price range. Over the last few decades, car buying has changed significantly. Fewer and fewer people are spending time on the lots themselves. A large part of the buying decision is made while that customer is sitting at their computer, scrolling through dealership websites. That means that dealerships that want to continue to sell cars have to have an online presence—and informative, valuable online presence that encourages website visitors to become dealership visitors and eventually customers. How does the internet influence car buying decisions? Buying a car has become much like buying something online. Obviously, a car is much more expensive, but the consumer looks that the two processes in similar ways. The search starts by typing a query into a search engine. Those who have a very good idea of what types of cars they want to test drive will still do at least a modicum of online research before showing up on the lot. Almost no buyers arrive without at least having a vague idea of what cars that dealership can offer them. The internet has made it possible for most car buyers, especially those who do not want to waste their time going to a dealership that might not even have a car they want to test drive, to look at the stock each dealership has, look at the stock that dealership could have access to, and to even get a quote for vehicles they might want to purchase. 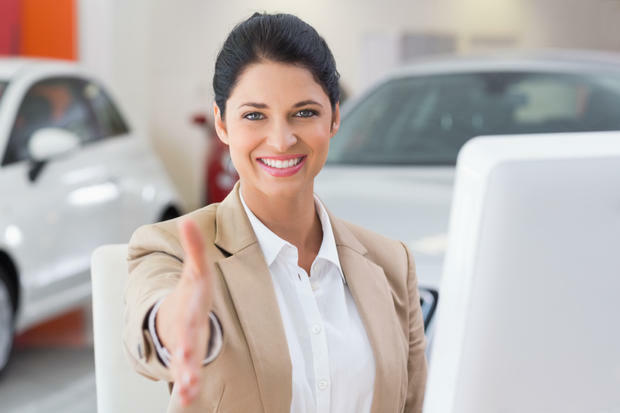 Even if they do eventually have to visit the dealership to buy the car, their mind might be made up about which specific vehicle they want to purchase before they even leave home. The internet has great influence on car buying decisions, which makes it so baffling why so few dealerships have invested in automotive SEO. Why are so few dealerships building automotive SEO campaigns? Because many believe that their brand’s website is enough of an advertisement for their own website. Most brands have a tool that allows searchers to “build” the vehicle they want to buy and to see which dealerships in their area have that vehicle on their lot. It does not take into account, however, the very real possibility that the car that they build is not actually the car they want to buy. When I went to buy my first car, I had my heart set on a blue four-door sedan—that was not the car that I actually ended up buying, instead opting for the much cooler and much more suitable black sedan. Dealerships that are ignoring automotive SEO often believe that they get enough traffic from their brand website. They do not realize, however, that automotive SEO is about more than just drawing visitors to their website—it is about convincing those visitors to buy one of your vehicles. Buying a car is a big decision, with a lot of obstacles, the biggest one usually being financial. Trying to convince someone to make a large purchase like this, even if it can be manageably paid off over the course of three to five years, is difficult. SEO makes it easier. Because search engine optimization demands a wide variety of informative, valuable, and persuasive content to be posted on your website and on your blog. You build yourself up as an authority, not just in selling cars, but also about how to care for those cars. The higher your esteem in the eyes of the buyer, the more likely they are to actually come down to your lot and visit you. When they trust you, it is easier for the buyer to surmount any obstacles to buying and to make a purchase. In the internet age, only effective SEO can both get your website in front of more people and actually get more of those people onto your lot.